The first violin part for the Overture from Smetana's The Bartered Bride has been edited by Ilya Kaler, who has appeared as guest concertmaster with the San Francisco Symphony, Philadelphia Orchestra and Baltimore Symphony. Kaler's bowings, fingerings and other editorial markings have been added throughout the score. The Bartered Bride by Bedřich Smetana is a comic opera in three acts that greatly contributed towards the development of Czech music. Composed over the course of three years leading up to its premiere in 1866, it tells the story of how true love prevails over the combined efforts of ambitious parents and a scheming marriage broker. Smetana's The Bartered Bride draws on influences from Czech music, such as traditional Bohemian dance forms (polka, furiant, etc. ), and the music is considered by many Czechs embody the spirit of their musical traditions. The Overture is often featured as a concert piece independently from the opera and was composed before almost any of the other music had been written. 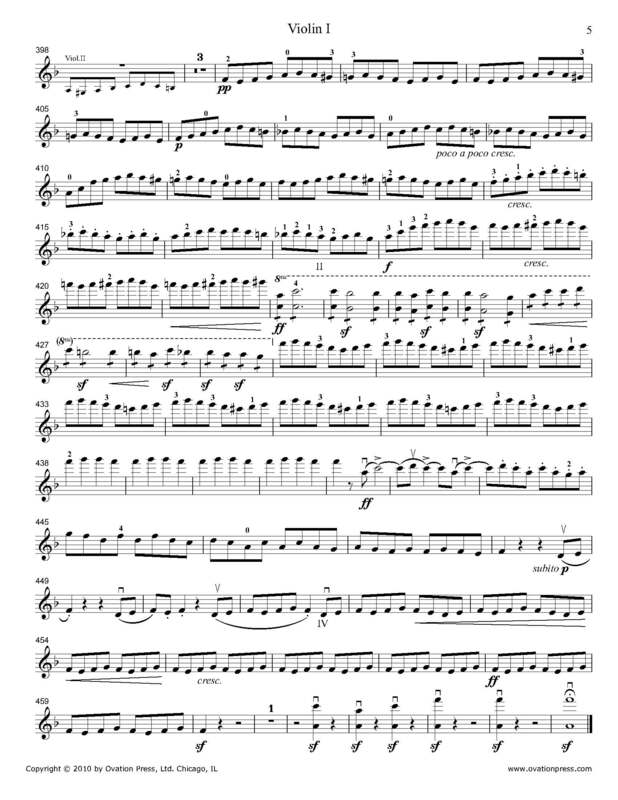 Download and print the score today to gain access to expertly edited Smetana The Bartered Bride violin fingerings and bowings from Ilya Kaler!